There are fewer than 3,900 tigers like her left in the wild — and they need our help. Through a hidden camera planted in the woods of Southeast Asia, people have been watching someone very special. Known as 197F, the wild tigress has been traveling on her own for four years, ever since she left the protected territory where she was first spotted as a cub. Now people are rooting for her to find a mate and start her own family. "She’s of prime breeding age and in good health," Chris Hallam, conservation scientist at Panthera's tiger program, wrote in a statement, "but she’s all alone." It's hard for tigers to find others — it's estimated that fewer than 3,900 tigers exist in the wild. Because of relentless poaching for their skins, and even their bones for use in traditional Chinese medicine, as well as habitat destruction and fragmentation, the odds end up being stacked against tigers like 197F. But the people observing her from a distance believe in 197F's strength. "She wandered more than 120 kilometers [75 miles] through long stretches of dense forest, miraculously dodging poachers, snares and other threats before making it to her new home," Hallam said. 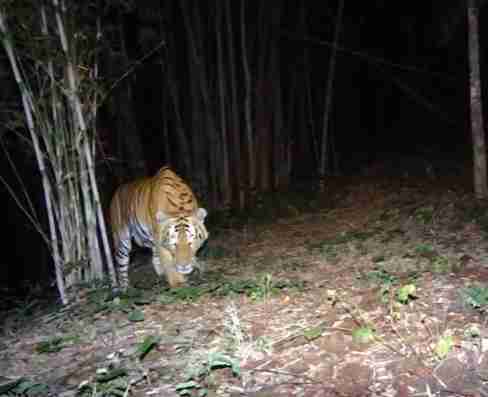 "As the sole known tiger in her new protected area home, 197F is on a mission. Our cameras have already observed her traveling widely in her new range, likely calling mournfully and ceaselessly in search of a mate." 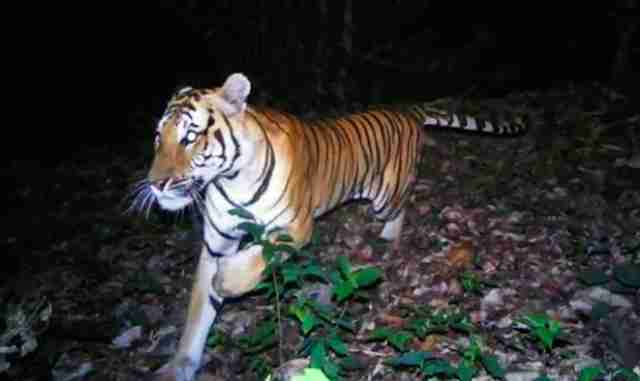 While the wild tigress searches, conservationists are trying to raise awareness for the difficult plight of tigers like her. They are using Global Tiger Day this Sunday to help spread 197F's story. They are also rallying to send more resources to the areas where 197F roams, to help keep her safe from poachers and wildlife traffickers. "If 197F finds the mate she’s so desperately seeking, their cubs will soon spread out and claim new territory and mates of their own," Alex Varga, manager of Panthera's tiger program, wrote, urging the public to support efforts to protect wild tigers. "We can rebuild healthy populations of tigers, even where there are very few to start."